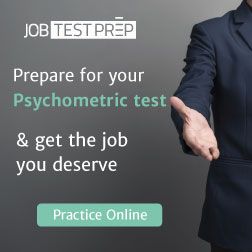 The most people dread numerical reasoning tests. It is not surprising. Math, in itself, is intimidating enough. But having to figure out the rationale of why specific numbers go together can be a bit of a pressure-cooker. At least with pure math formulas, you know you have an answer to get to if you just perform the required operations. But with numerical reasoning, if you don’t get it, you’d have to guess, which increases your chances of a wrong answer. First off, what is a numerical reasoning? Numerical reasoning, also called quantitative rationale, refers to people’s capacity to represent numbers in their mind, and perform numerical manipulations mentally. It can be something as simple as being able to add or subtract single digits in one’s mind, or something complex like having to make an educated guess regarding the square root of a number in the thousands. The numerical reasoning may need some knowledge of basic math concepts, but in general, an average high school student should be able to answer them without prior review. If you’re worried that you won’t perform well in numerical reasoning tests, here’s an interesting factoid for you: did you know that according to research, even young babies are capable of numerical reasoning? Of course, it’s not on the same level as the mathematical reasoning of an adult, but they can understand patterns by habituation. It means that there’s no such thing as a person with a shallow capability to understand math. Understanding math concepts are innate to human beings. You probably are just letting anxiety manipulate your attitude to learning. What number comes next in this sequence 4 9 16 25 X? Are they all prime numbers? Are they multiples of the same number? Are they square roots of the same number? They are perfect squares of numbers in sequence. Once you have the formula, you can now start computing for the value of X. If 4 is a perfect square of 2, and 9 is a perfect square of 3, and so on, then the next number in the sequence should be the perfect square of 6 which is 36. Note that the decoy items in the multiple choice stems, that is, the wrong answers in the choices are close enough are looks like 36, which is to make guessing harder. This is the reason why test-takers must take extra caution when answering numerical reasoning tests. What looks like the right answer at first can easily turn out to just be a lookalike. In the Student council elections, Judy received 1/16 of all the votes that were cast. Her opponent Mike got 1/3 of the votes cast. There were 7790 votes cast all in all although 14 were considered null. How much more votes did Mike have over Judy? This one is a bit complicated because it’s a word problem that requires the test-taker to first understand the situation before making computations. 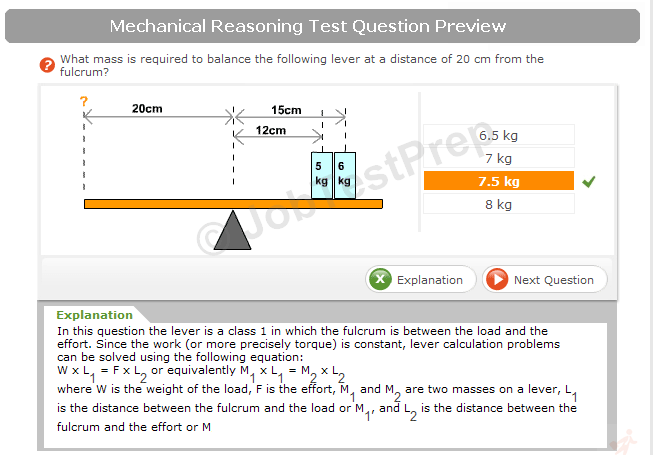 And in actual numerical reasoning tests, many questions are this way. It’s a ratio, base and percentage question but with certain twists. Let’s start by computing how many votes Judy and Mike received. Judy received 1/16 of the votes, while Mike 1/3. The base is 7790 – 14 = 7776 (number of votes cast minus number of null votes). Therefore Judy received 486 votes while Mike received 2,592 votes. The difference between their votes is 2,106.Answer B is correct! If you found the above sample questions easy, then numerical reasoning tests should be a walk in the park for you. If you found them hard, don’t lose hope yet! Performance on these kinds of tests tends to improve with practice. Just get more sample questions to work on and you should be fine.